THE SCENE: All over the world, for as long as human have performed, masks have been used to shelter identities while speaking truths, no matter how base those truths may be. New York musician Marc Anthony Thompson released two pop-soul albums under his own name in the 1980s but unleashed his sacred and profane persona Chocolate Genius in the late ‘90s. Witty and urbane, naïve and spastic his second album Godmusic demands your respect without requiring your approval. His burnished, hushed baritone draws you in like a confessional then traps you there like a fly in a web, each song slowly progressing as if gravity is its enemy. On first listen the tunes seem ordinary, familiar, but each playback reveals additional layers. Lyrically searching for happiness in a bleak world, he evokes a new dawn rising in the shimmering “Bossman Piss (In My Lemonade)” and literally creates God music with the ringing and squealing “To Serve You”. who swears that she can stop? This may the only album I’ve heard that tries to be as wry as possible. THE FALLOUT: Unclassifiable, unexplainable and essentially unsellable, Godmusic attracted a fistful of great reviews and a thimbleful of sales. In a typical story for this site, Chocolate Genius recorded his next album for another label. 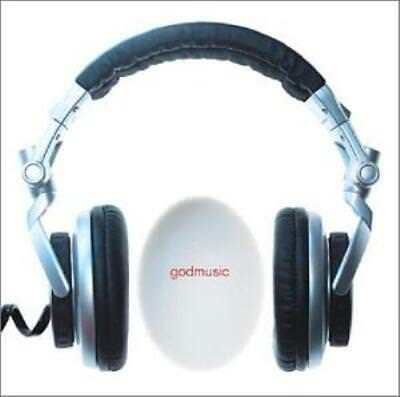 Starting with out-of-sync warbling and ending with a nod to Truman Capote, Godmusic is refreshingly intelligent, humorous and oddball. NEXT WEEK: Stevie Wonder scores a little plant documentary and, oh it backfires.